Called "arguably the greatest American in the 20th century," during his 95 years, Norman Borlaug probably saved more lives than any other person. He is one of just six people to win the Nobel Peace Prize, the Congressional Gold Medal and the Presidential Medal of Freedom. And yet Borlaug, who died three years ago today, is scarcely known in his own country. Born in Iowa in 1914, Borlaug spent most of his life in impoverished nations inventing, improving and teaching the "Green Revolution." His idea was simple: Make developing countries self sufficient in food by teaching them how to use modern agricultural techniques that are easy to implement. Borlaug spent most of his time in Mexico, Pakistan and India, and focused on five areas: crop cultivars (seeds), irrigation, fertilizers, pesticides and mechanization. His successes were remarkable. In 1950, Mexico imported over half of its food. 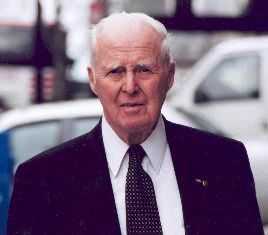 Thanks to Borlaug's efforts to convince farmers there to try his techniques, Mexican food production increased 10-fold by 1970, and the country had become a net exporter. In India and Pakistan, production doubled. In 1999, the Atlantic Monthly estimated that Borlaug's efforts, combined with those he trained and equipped, saved the lives of 1 billion human beings. Shockingly, the Green Revolution was almost entirely funded by developing countries and private charities (notably the Rockefeller and Ford Foundations), rather than by the governments of prosperous nations. At the time, the overwhelming view of academic and political elites in the wealthy countries was that it was already too late. Biologist Paul Ehrlich's 1968 bestseller "The Population Bomb" typified this attitude. Ehrlich wrote, "The battle to feed all of humanity is over ... In the 1970s and 1980s hundreds of millions of people will starve to death in spite of any crash programs embarked upon now." He later said, "I have yet to meet anyone familiar with the situation who thinks India will be self-sufficient in food by 1971," and "India couldn't possibly feed two hundred million more people by 1980." Required reading at many colleges, Ehrlich's book stated that it was "a fantasy" that India would "ever" feed itself. Ehrlich, who was wrong about several things, was ignorant of what Norman Borlaug was already in the process of accomplishing. In the introduction to a 2000 interview with Borlaug, Reason magazine science correspondent Ronald Bailey wrote, "In Pakistan, wheat yields rose from 4.6 million tons in 1965 to 8.4 million in 1970. In India, they rose from 12.3 million tons to 20 million. And the yields continue to increase. Last year , India harvested a record 73.5 million tons of wheat, up 11.5 percent from 1998. Since Ehrlich's dire predictions in 1968, India's population has more than doubled, its wheat production has more than tripled, and its economy has grown nine-fold." In spite of Ehrlich's claims, Borlaug had India feeding itself within a mere five years of his book release. Also around the time of Ehrlich's misguided doom-mongering, Borlaug's colleagues at the Consultative Group on International Agricultural Research were spreading his ideas about high-yield rice through Asia, causing another food production explosion. Towards the end of his life, Borlaug was working to institute his agricultural revolution in Africa. "(Most Western environmentalists) have never experienced the physical sensation of hunger. They do their lobbying from comfortable office suites in Washington or Brussels. If they lived just one month amid the misery of the developing world, as I have for 50 years, they'd be crying out for tractors and fertilizer and irrigation canals and be outraged that fashionable elitists in wealthy nations were trying to deny them these things." Borlaug was correct: "Environmentalists" and their allies pressured the Ford and Rockefeller Foundations, the World Bank and Western governments to drop funding and support for the great humanitarian as he was trying to expand his efforts into Africa. As a result, it is no surprise that the continent is doing the poorest at feeding its people. There's an old proverb: "He who has bread has many problems. He who has no bread has only one problem." Today, the talk is all about demands for massively intrusive government interventions requiring trillions of dollars to address deeply speculative problems 100 years hence supported by highly suspicious computer models and data. Much less is said about solving real current problems using proven methods pioneered by Norman Borlaug that require much smaller sums. More than 40 years ago Borlaug wrote, "One of the greatest threats to mankind today is that the world may be choked by an explosively pervading but well camouflaged bureaucracy."